Despite efforts made by past and present administrations in Nigeria to stamp out corruption, incidents of illegalities seem to be on the rise especially in Nigeria’s health sector as investigations by this online news medium reveals that corruption, greed and ego has eaten very deep into the fabrics of the Federal Ministry of Health (FMOH) and National Agency for the Control of Aids (NACA). This is as the Nigeria Aids Indicator and Impact Survey (NAIIS), a national household survey that determines the distribution of HIV, Hepatitis B and C and also estimates the prevalence of HIV-related risk behaviour in the 36 states of the federation and the federal capital territory FCT presently ongoing in the country has been purportedly hijacked by the minister and his cohorts. The survey which will impact positively on the lives of Nigerians was revelaed to last for the duration of six months starting from mid-June to December 2018 with the pilot phase coming to a successful end while waiting for the commencement of the main survey. 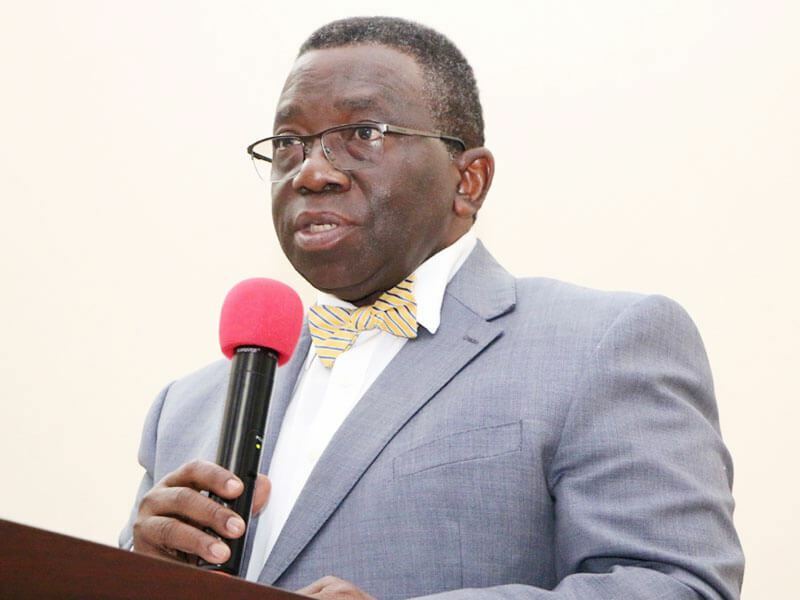 Sadly, SecretReporters discovered that the Nigeria factor is beginning to set in as the Minister of Health in the person of Prof. Isaac Adewole and his cohorts in NACA under the supervision of Dr. Sani Aliyu have decided to hamper the progress of the survey by seeking a bribe from the sponsor; Maryland Global Initiative and playing the nepotism card by asking that the sponsors displace the people they engaged with the work and allow them to bring in their people. The survey is sponsored by the University of Maryland, Baltimore, U.S.A, and funded by U.S Center for Disease Control and Prevention through the President’s Emergency Planning for Aids Relief In collaboration with the government of Nigeria under the leadership of the Federal Ministry of Health (FMOH) and the National Agency for the Control of AIDS (NACA). Insider sources confided in our reporter that there are contradicting figures in the remuneration of field workers as against the initially stated 15,000 Naira per day that the field workers were supposed to be paid rather a conflicting figure of 10,000 Naira was released. It is alleged that N25,000, N7000 and N5000 were supposed to be paid for accommodation, feeding and transportation respectively per day but the Minister of Health and his cohorts connived and summed it to be paid at the end of the month as N70,000 and diverted the difference on each of the staff allowances in display of his initial disagreement with the amount stipulated to be paid the workers. A survey that is supposed to serve Nigerians, to improve the health indices of the country, they have decided to sabotage it for their selfish gains narrated our source. Also according to our reliable source, these greedy people have so frustrated the survey even to the extent that the sponsor threatened to pull out, leaving many Nigerian to lose out of the benefits and opportunity. Surprisingly, Isaac Adewole and his cohorts are requesting that the sponsors cut off the money of those who have so far been engaged in carrying out the survey.